The second event in the Yorkshire Magnificent Seven Reliability Trials took place on Sunday. Promoted by Harrogate Nova, the 50-mile route, starting from North Rigton Railway Crossing, and taking in Wetherby, Boroughbridge, Ripon, Fountains Abbey, Ripley, Killinghall, Penny Pot Lane, before the finish at Norwood Village Hall, saw 141 riders (including 36 from the home club) braving the blustery, cold and damp conditions. Margaret and Vaughan Caswell oversaw proceedings, just as in the first running of the event in 1985 (although the current route has only been in use since 1990), setting riders off in groups of up to twenty at two minute intervals. The first group home included some of the Nova stalwarts, with a handful of junior riders from VCUK Ph-MAS. A record amount of cakes, sandwiches and soup were consumed afterwards as riders sought to revive themselves after their efforts. The third event in the series, the Airedale Olympic Reliability Trial takes place on Sunday 14 February 2016. Thanks to Margaret and Vaughan, all helpers, all cake bakers, and all tea makers who support this event. Nova riders were among the top finishers as the final standings for the YCCA winter ‘cross season were announced this week. In the Women’s League, Kirstie Hamilton finished as 3rd senior, and 5th overall (out of 59 competitors), having secured 564 points from six events. 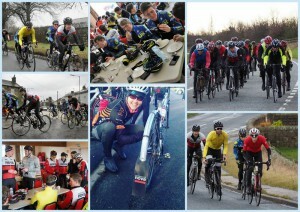 With over 120 riders taking part, the Youth League was a closely fought battle. Louis Mason finished as 10th placed Under-16 scoring 582 points from seven events. In the Under-14 League, Charlie Lehan took 2oth with 249 points from three events; Joe Sarmiento was 27th, taking 176 points from just two events. In the Senior/Vet-40 League, Charles Cuss finished as 33rd placed Senior with 295 points from four events. Edwyn Oliver-Evans was 7th placed Under-23, scoring 275 points from three events. 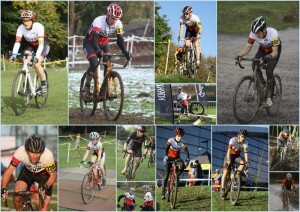 In the Vet-40 League, Dave Morris placed 14th Vet-40 out of 140 competitors with 525 points from six events. Richard Hamilton was 36th with 329 points from four events; Paul Lehan was 47th with 239 points from three events; Ted Sarmiento placed 52nd with 213 points from three events; Gary Marks was 66th with 135 points from just two events. With over 200 riders taking part in the Veterans 45+ League, Richard Salden finished in 26th place Vet-45, scoring 327 points from four events. In the Vet-50 League, Nick Mason claimed 6th place with 652 points from seven events. Tim Evans ended the series in 19th place, scoring 558 points from his best seven finishes. Andy Holgate finished in 37th place with 337 points from four events. In the Vet-60+ League, Mike Bowman ended the series just one step off the podium in 4th place with 574 points from six events. Mike Wilberforce took full advantage of the closure on the A59 to capture this beautiful shot near Kex Gill last week.